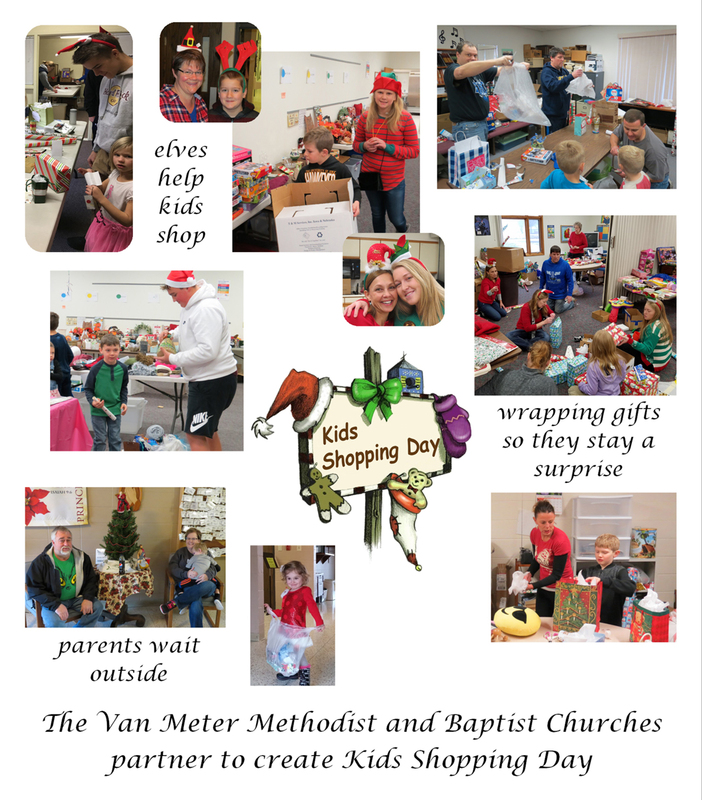 On a Saturday morning early in December, we host Kids Shopping Day at Van Meter UMC. Kids can shop for Christmas presents for their family members at garage sale prices. Parents stay hidden so they don't ruin the surprise, and there are helpers to help the kids shop and wrap presents. It's a lot of fun for everyone, and the proceeds go towards providing food support for local families in need. We have the joy of working with the Van Meter Baptist Church on this project.